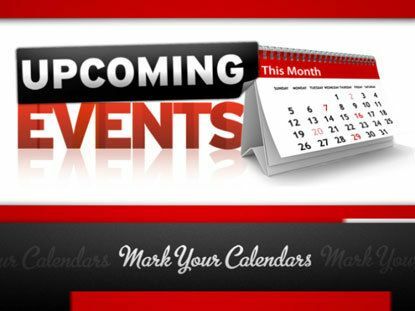 Please scroll down to see a list of these worthwhile San Carlos Events that are headed your way! The San Carlos Children’s Theater’s production of The Wizard of Oz opens May 10th and marks the company’s 100th production. Since 1991, the SCCT has been enriching the lives of youth in San Carlos and the greater peninsula with drama courses, workshops and camps, customized curriculum and full stage productions. The Wizard of Oz is running May 10-19th. Shows are Fridays and Saturdays at 7:00 pm, and Saturdays and Sundays at 1:00 pm at Mustang Hall, 828 Chestnut Street, San Carlos. Tickets are $12 for students and $15 for adults. For a complete listing of productions, classes and camps visit the San Carlos Children’s Theater online by clicking here. The San Carlos Education Foundation invites you to watch your SF Giants battle the Miami Marlins on Friday, June 21st at 7:15 pm. Tickets are on sale for $35 each at the San Carlos Youth Center, weekdays from 8:30-5:00. Proceeds from the ticket sales benefit SCEF and the San Carlos Parks and Recreation Department. Contact Kelly Baird with questions at kcb123456@yahoo.com. After 30 years, there is still no evidence that San Carlos High School ever existed. There were 20 graduating classes from 1962 to 1982 with classmates who shared their joys, pains and laughter growing up together. Now, alumni have the chance to come together to remember and celebrate their school with the dedication of the bronze plaque at the site where their school once stood. The essence of San Carlos. May 17, 18 & 19 at Burton Park. Live music, games, parades, animals, 5K Fun Run, food, beer garden and countless other attractions will all be on display during this longstanding San Carlos tradition that is supported by nearly every community partner in the city. To be taken to the official San Carlos Hometown Days site, please click here.